The V2 Series is standard made beautiful. Purposefully designed to showcase the simple beauty of classic kitchen knives while focusing on elevating their practical functionality. A beautifully balanced, solidly durable and exquisitely sharp knife.Beautiful, robust yet slim the Cangshan Mountain Knife Block stands proudly displaying its curiously balanced asymmetrical shape. 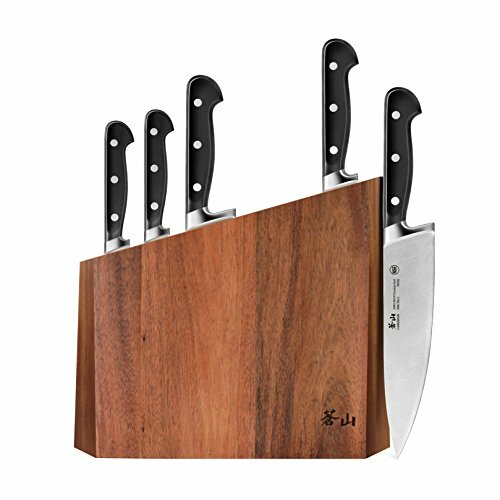 Rich, unique wood grain texture compliments and enhances the distinct design of the securely housed Cangshan Knife Set.